While I was in the city two weeks ago, I had the opportunity to stop by the Carvan Stylist Studio at the Carlton Hotel. An innovative wardrobe and beauty concept that pairs actresses, tastemakers and media influencers with top fashion designers and beauty experts. 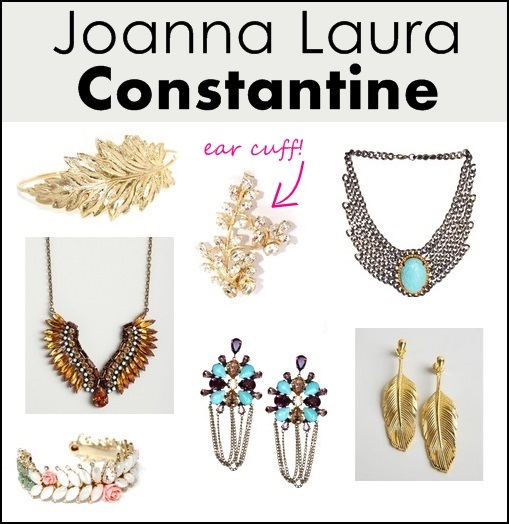 While there, I discovered amazing brands, but no other caught my eye quite like Joanna Laura Constantine jewelry. I was so impressed by the brilliant work of this Lebanon born, NYC based designer! Her fashion jewelry is unique and one-of-a-kind. It also perfectly reflects her urban fusion with Lebanese roots. The results are standout pieces that have caught international attention in fashion magazines and celebrities a like! Take a look and tell me what you think! I want that ear cuff in my life!